Preheat oven to 375˚F. 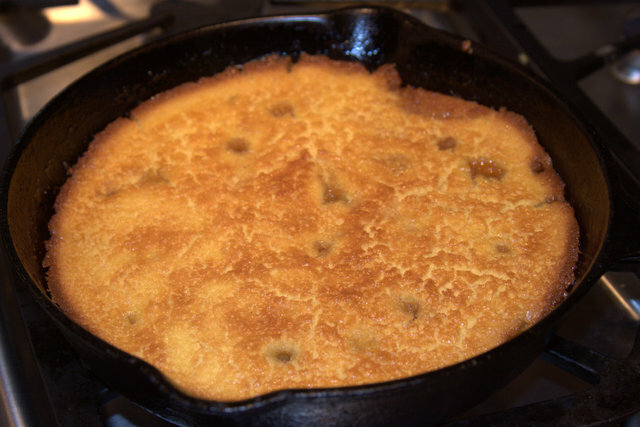 Melt 2 tablespoons butter in a 9-inch round, flameproof, aluminum pan over medium-low heat, we used a cast iron pan (make sure to cover entire pan bottom); sprinkle brown sugar over top. 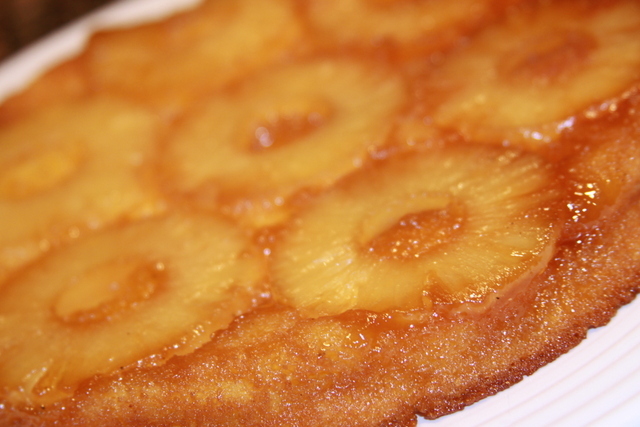 Place pineapple rings in a single layer in bottom of pan. 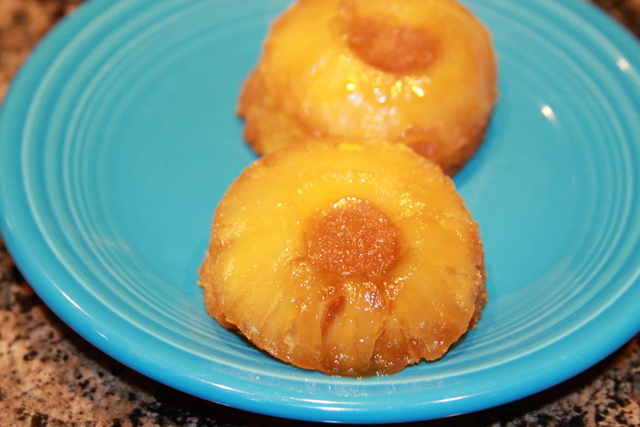 Increase heat to medium-high and cook until pineapple caramelizes, flipping once, about 2 minutes per side; remove pan from heat. Melt remaining 2 tablespoons butter on stove top or in microwave. In a medium-size mixing bowl, beat egg with remaining melted butter. 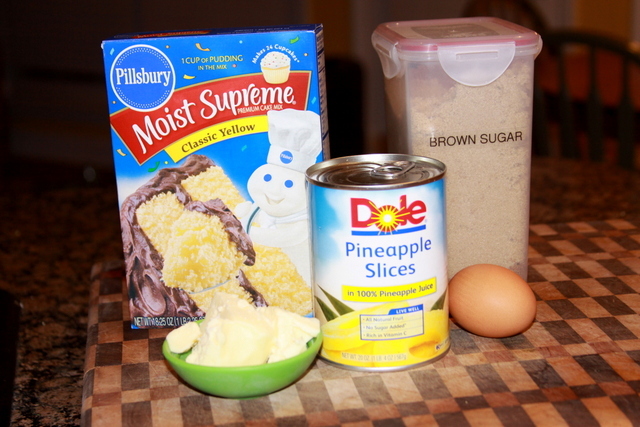 Add cake mix and reserved pineapple juice; combine well. 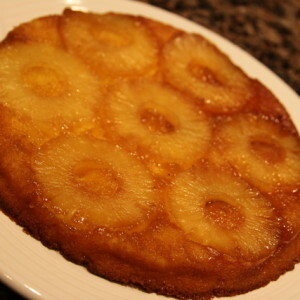 Pour batter over pineapple; bake until a toothpick inserted in center of cake comes out clean, about 30 to 35 minutes. 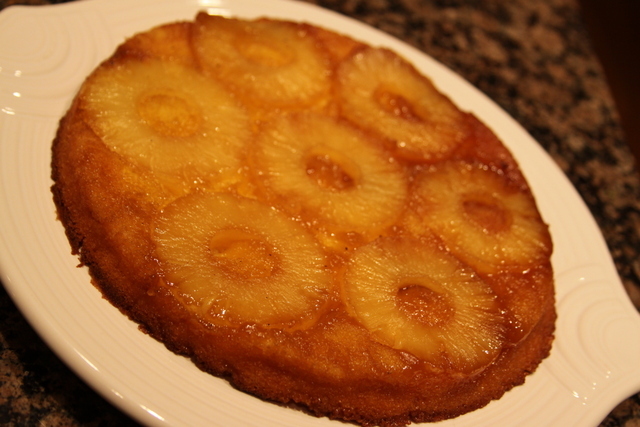 Allow cake to cool for about 15 to 20 minutes; when still warm, loosen sides with a knife and invert cake onto a serving plate. Slice into 10 pieces and serve. 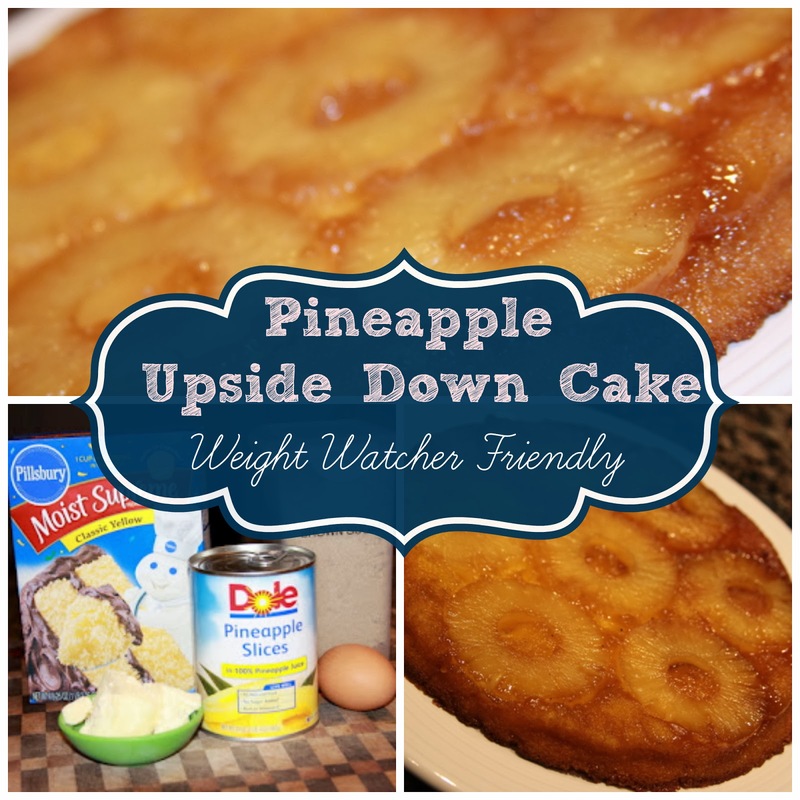 Once you have allowed the cake to cool for a few minutes carefully dump it upside down where you can see the yummy pineapple goodness. 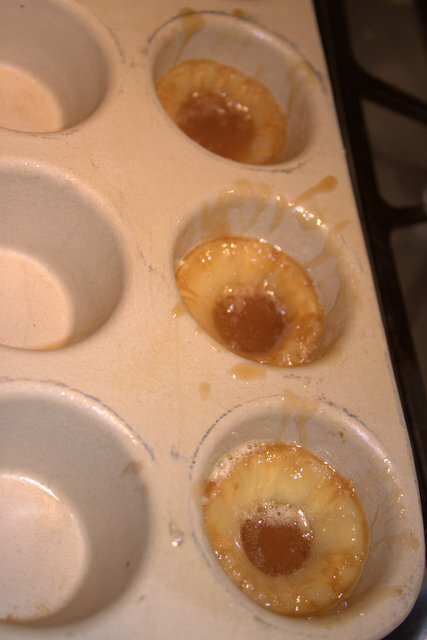 We also did a few in a muffin pan like this but preferred the the whole cake.